Mark: I was born and raised in a Christian home in Crystal, MN, where my parents took me to church regularly. While I heard the plan of salvation many times, it finally became real to me in the fifth grade and, at that point, I accepted Christ as my personal Savior. In college I was challenged with missions, but felt no specific leading of God at that time. Nancy: I was born and raised in a Christian home in Whitewater, WI. At age five my mother read my sister and me a Bible story and I remember understanding for the first time that Christ's death was for me. That night both my sister and I accepted Christ as Savior. I knew from a young age that God had a special work for me to do that would take me far from Whitewater. Nancy and I met through a mutual friend and began dating while we were at the same Christian University. We were engaged in the summer of 1979 and married June 21, 1980. While we both wanted to serve God in some capacity, we assumed it would be in Christian radio in the U.S. However, we didn’t find any ministry openings. In 1982 we attended a missions conference in our home church where the Lord touched our hearts about becoming missionaries. God opened the door for us to serve in a radio ministry in Liberia with Baptist Mid-Missions. In 1986 we left for Liberia and spent three years working with the radio station, teaching in the Bible school and helping in church-planting efforts. To our horror, the Liberian Civil War began in 1989 while we were on our first home assignment in the U.S. The human suffering was unimaginable and Liberia's losses massive. Our losses included our home and our ministries—including the radio station. From 1991-2002 we lived and worked among the refugees and other English-speaking people in Liberia's neighboring country, the Ivory Coast. We praise God that after 14 years of civil war in Liberia, we now are back working inside Liberia. Our ministry is one of teaching, preaching and encouragement. To learn more about our ministry, click here. 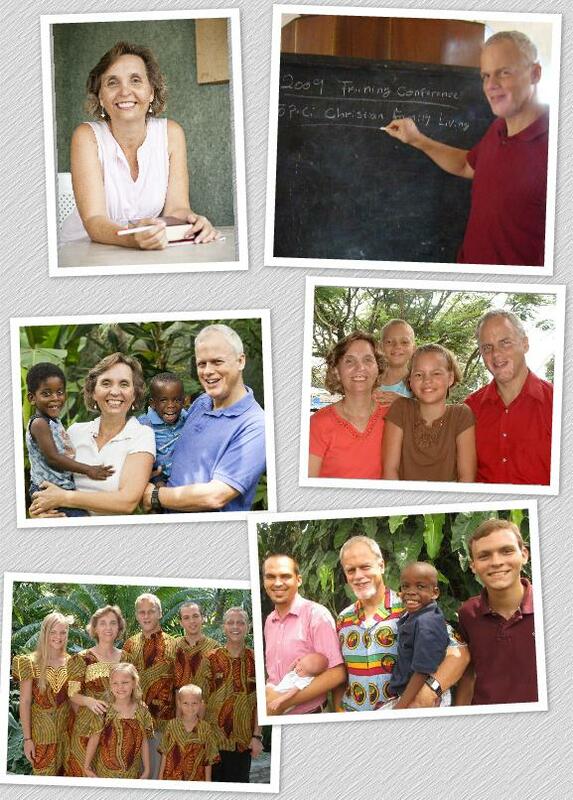 We have six children: John-Mark, Melodie, Nathan, Heidi, Jared and Jonah.